Who is A & L Ultimate Concentrate Oni made for? Is A & L Ultimate Oni Concentrate right for you? Among the many manufacturers of French concentrates there are some that are no longer present and Aromes & Liquids is one of them. Indeed since 2012 the A & L brand offers us original aromas that always meet a great success! Among the products of A & L we chose to offer the range A & L Ultimate at Jean Cloud Vape. It is a range of concentrated flavors to make e-liquid for electronic cigarette, also called DIY or Do It Yourself. You will find the Oni, the Fury, the Bahamut, and the Succube. These concentrated flavors for e-liquid are offered in 30ml PET bottles with fine tips for dosing the indicated drops. The katana on its belt, the Oni is a half-demon half-samurai Japanese creature who delights in torturing the taste buds of vapers at nightfall. An indefinable explosive mix of lime, savagely powerful and cleverly iced! The result of the long-term work of a band of skillful Pandas, the Oni even holds the dragee high e-liquid of the vaposhère most explosive! This one-of-a-kind creation will remind you of the devilish and overpowering rendering of the best recipes from East Asia. Here is the crazy bet of A & L, invite Malaysia in your DIY with this potion that has the virtues, while bringing the French know-how and the highest standards of manufacture. Glacial and fruity, the Oni wants to be as sweet as it is acidulated to freeze the thermometer of your taste buds like a Filipino blizzard. The Oni by A & L? A true success and a true cross between a flop of indefinable flavors tinged with citrus and lime and a flood of freshness for a guaranteed effect! The Oni from the A & L Ultimate range is a concentrated flavor that must be mixed with the base of your choice to make e-liquid for electronic cigarettes. It is dosed from 26 drops to 10ml and you let it mature three to five days for optimal results. It is available in PET bottles with fine tips and with a child safety. Just the description of this aroma by A & L plunges us into imaginary rich and we quickly discover a powerful blend with a dominant lime, grapefruit and other ultra-fresh citrus! 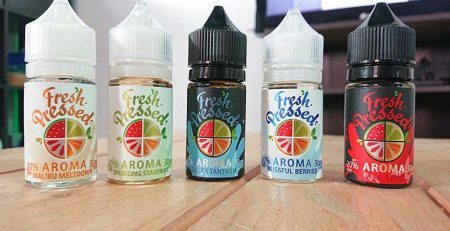 The liquid is ultra-balanced with a balance of sugar precisely dosed not to come soften the freshness of the aromas and menthol side especially felt at the expiration. 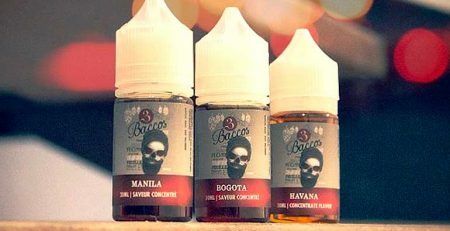 Here no chemical taste, Oni offers us an explosion so addictive that it vape in all-day, like a frosted lemonade or a mojito in summer, for weeks without getting tired! It will be indispensable for supporting the hot summer days! It is certain, this marriage between the citrus fruits and the mint freshness will seduce and reconcile the followers of both camps. 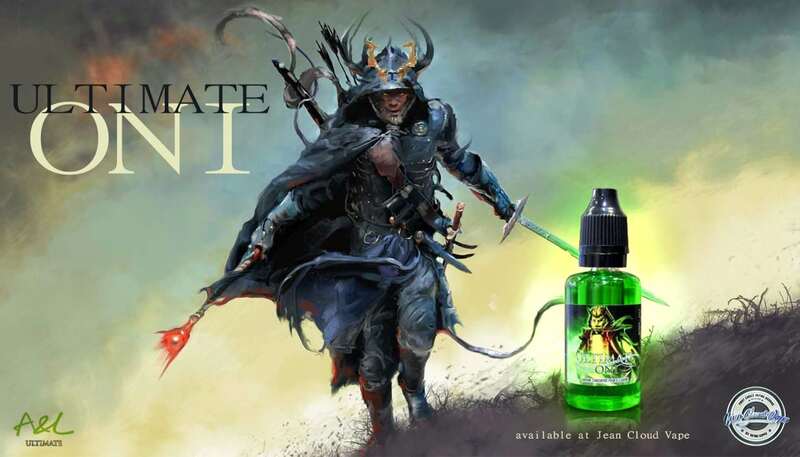 The Oni is undoubtedly the most iced concentrate of the Ultimate range, we also love its original green color that plunges us immediately into an exotic atmosphere. 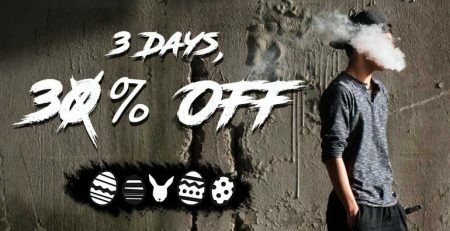 No wonder it has become so quickly a must for many vapers … He particularly seduced all fans of the Red Astaire T-Juice and Heisenberg Vampire Vape. For the more cautious who might be afraid of a cool side too strong we recommend to let him mature for 7 to 10 days so that it is softer. We also love Oni for its economic dosage of 26 drops for 10ml that we will not exceed under pain of a freshness really too intense! If you want to be sure to vape something sweeter, with no freshness at the end, the Oni now comes in Zero version. This concentrate is made for you since you will only have citrus and lime to treat you from morning to night.